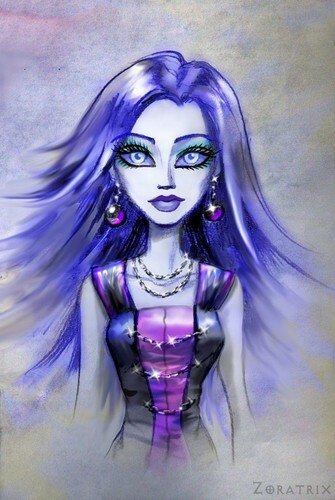 Spectra Portrait. . HD Wallpaper and background images in the Школа Монстров club tagged: monster high character spectra vondergeist fan art portrait deviantart. This Школа Монстров fan art might contain наперсник, эгида, egis, нагрудник, кираса, эгидой, and эгис.